Having already released some audio gear to introduce the great minds of tomorrow to the world of vinyl, Jack White is now set to release his debut children's book inspired by one of his own songs. We're Going to be Friends was inspired by the White Stripes song of the same name, and will follow Suzy Lee "as she goes to school with her books and pens, looks for bugs, shows and tells, and finds a friend." The book is authored by White himself, while Elinor Blake provides illustrations. Blake had previously worked as an animator for The Ren and Stimpy Show and Pee Wee's Playhouse, among other programs. She is also known as vocalist April March. The book will also include downloads of the original White Stripes version of the song, along with versions from Blake (as April March) and the Woodstation Elementary School Singers. 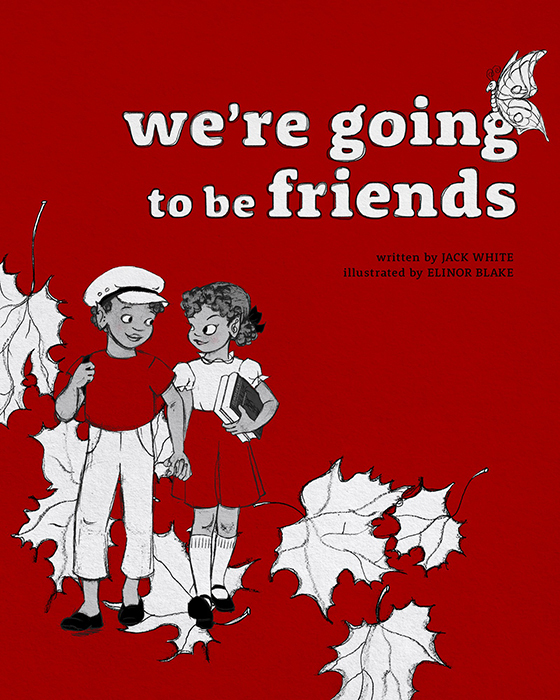 We're Going to Be Friends arrives November 7 through Third Man Books. You can find pre-order information here.